The Symbol of Hospitality – Select Event Solutions, Ltd. Anyone who follows our instagram @selecteventsuk will see a liberal use of the pineapple emoji 🍍 in our posts. Kind of random right? Why not a smiley face or globe or airplane? Well, the pineapple is the symbol of hospitality and here’s a little blog as to why. The pineapple was first discovered in South America, the exact origin is said to be an area between Southern Brazil and Paraguay. 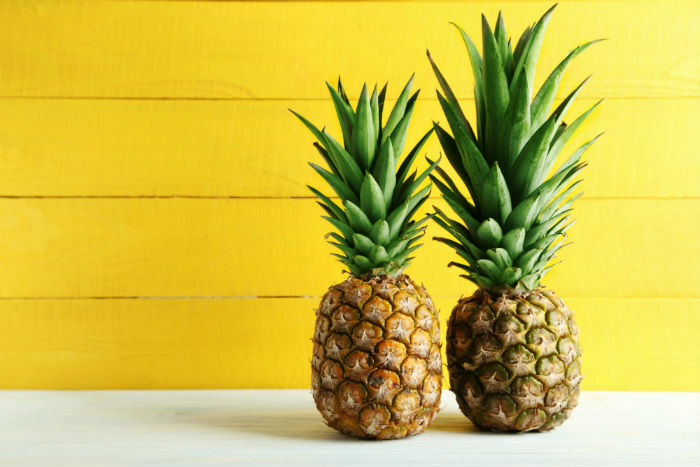 Colombus first encountered a pineapple in the 14th century and bought it back to Spain where it grew happily – us Northern Europeans didn’t have the same lovely warm climate so faced a bit more of a challenge growing the fruit. It was the Dutch who first managed to cultivate a pineapple, building a hugely expensive green house to mimic the warmth and humidity the fruit required to grow. In the UK the first ‘pineapple stove’ was built in Chelsea Physic Gardens (now a great event space) and in France they managed to create the right environment at Versailles. It was a hugely expensive process and if you managed to have what is essentially now a greenhouse and grow pineapples it was an enormous symbol of wealth – think private jet or yacht in today’s terms. If you were invited to a party and the host had a whole pineapple on display you knew that absolutely no expense had been spared. As such the pineapple became the symbol of hospitality, welcome and warmth. Next time you are in a traditional ‘Grand Dame’ of a hotel built in the Victorian or Edwardian era that still holds it’s original features I guarantee you will see a pineapple somewhere. A pineapple might be carved in the fireplace or mantel piece, it might be on the stair banisters or outside near the front door or entrance to the driveway – it’s there somewhere, I promise! Keep your eyes peeled and tag @selecteventsuk in any lovely pineapples you find in hotels, we’d love to see them.